Former U-KISS member Kevin, also well-known as an MC of Arirang TV's 'After School Club', will be leaving his MC position. 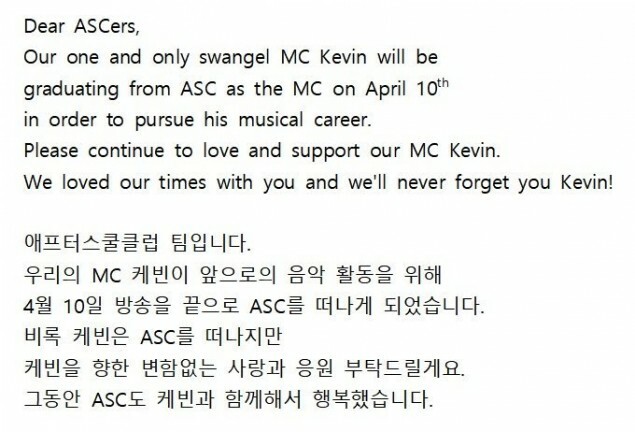 On April 4, 'After School Club' announced the news of Kevin's departure from the show after approximately 4 years as MC. The idol singer will be leaving the show this April 10, with his final broadcast. 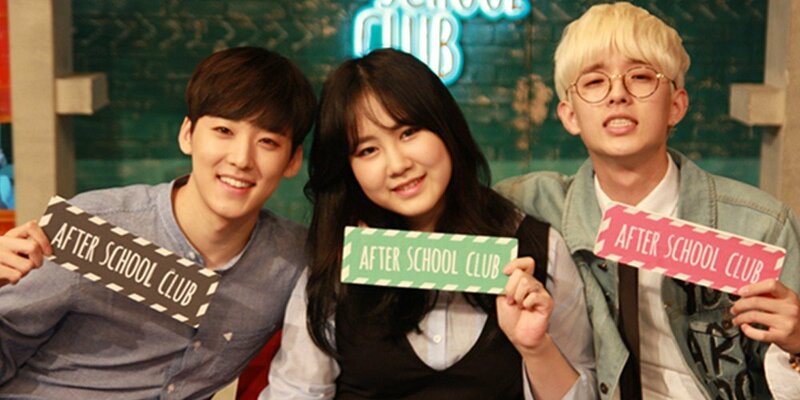 Remaining MCs Park Ji Min and DAY6's Jae will continue to host 'After School Club'. Read 'After School Club's announcement below, and best of luck to Kevin.